loopOut("continue") | bits of VFX, Mograph, ETC. 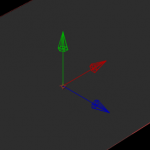 bits of VFX, Mograph, ETC. After Effects 12.1 adds a user scripts folder. No more admin passwords needed! Theres nothing worse than having to get the IT guy to add a script for you or perhaps unlock the Scripts folder thats located deep on your system drive. But now with the AE 12.1 update, there is now a scripts folder located next to your prefs file. Now go to aescripts.com to get some great scripts! Installing CC apps on multiple machines or just want to save the installer? With the release of Creative Cloud we now no longer have access to the installers of the Adobe apps and have to rely on the Creative Cloud App to download and install new apps and programs… or do we? If you don’t want to download the apps on every machine you need to install them on there is a way to install them once on one machine and save the installers. Enter that folder and you will see a few files. When the app is finished downloading you will see one of those files is a DMG. make a copy of that file and save it to your desktop. I posted these earlier on twitter but figured I should collect them here in a post as well because… well because thats what this site is for. 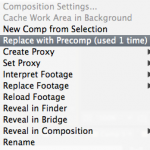 2) “Replace With Precomp” in the project panel. Ever had a clip or item that you needed to make a change to and let that flow project wide? 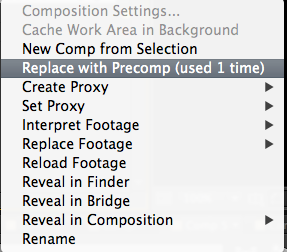 Now you can precomp the item in the project panel and that precomp will replace the footage where it lived previously. Nice little timesaver. Repoing the anchor point of a 3D layer has been a pain in the past where you might be offsetting in Z without meaning to or knowing that it happened. Now with the Pan Behind tool selected you can drag the RGB axis to repo the AP in X Y or Z by dragging the appropriate Axis. thanks to the Adobe AE team! 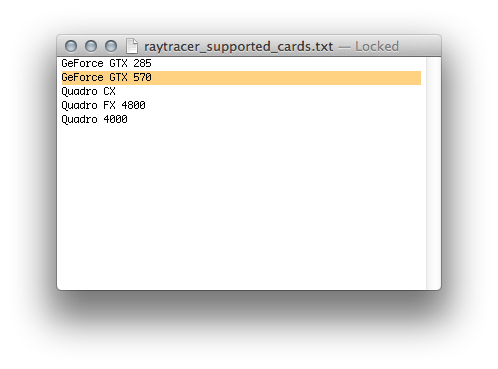 The current state of CUDA cards for the Mac has been pretty sad for a while now. We really only have the Quadro 4000 at this time that is officially supported while on the PC there has been a plethora of GTX cards that have amazing CUDA performance for a lot less money. Thanks to Juan Salvo @j_salvo for providing the first batch of systems that kicked off this test, and many others since, we have compiled this list of cards rendering a Raytrace comp in After Effects CS6. All you need to do is be install the Quadro 4000 drivers from nvidia and the CUDA drivers. When using these cards you do have to be wary of power usage. The 4XX series uses more power than the 5XX which uses more than the 6XX. If you do need more power or are installing multiple cards, the FSP Group Booster has been used in the macpros 2nd optical bay which then provides a clean solution. Adobe Creative Cloud may be the future, but what happens when we need to go back? I know since Adobe announced the Creative Cloud, I have been contemplating switching from my normal “buy the upgrades” to this new system. One of my concerns was what happens in the future when we need to open an old project that doesnt work the same way in the current versions? or has a feature that was dropped? Well it appears that once you join Creative Cloud, any of the apps and versions that you can download will remain there for at least 5 versions. 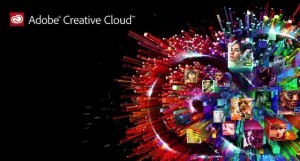 So if you join now, and remain a cloud member, even when CS10 comes out you can still go back and use CS6 if need be. If you have an approved Graphics Card it will greatly increase the speed and pleasure level when working with the new Raytrace Renderer in CS6. 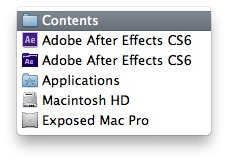 One other excellent new feature of CS6 is the ability to cache your current work are in the background. 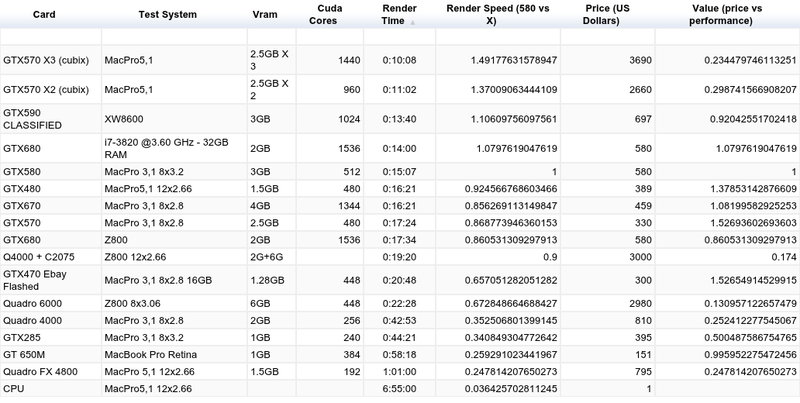 Rendering with Multiprocessing also continues to be improved in CS6. However, any background rendering, such as the new BG caching, multiprocess rendering, terminal rendering, etc, are not currently compatible with CUDA Raytracing. 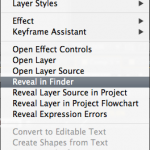 If you are using the raytracer you must be filling your cache or rendering from within the app. 1. Open Debug Database.txt in application pref folder. 2. Search for RayTracerGpuDisabledForHeadless in the file. Default value of this flag is true. Set it to false to use GPU Picasso renderer in headless AE. Last night on #Postchat the amazing @AdobeAE answered a plethora of questions about the newest release of After Effects CS6. One question that came up was if you can bend a 3d extruded layer. The answer is No. You can now bend a 2d layer till it becomes a half cylinder, but the 3D extrusions do not have that option.